The HawkEye Mk II is a 2kg UAS that provides real-time day & night short-range reconnaissance, perimeter surveillance and tactical situational awareness. It is the evolution of the HawkEye MkI with enhanced features such as digital communications, GPS-denied navigation, dual-low light visible and thermal camera. Due to its small size, it is inaudible at 150 feet AGL, extremely robust, rapidly deployable thanks to its foldable structure. 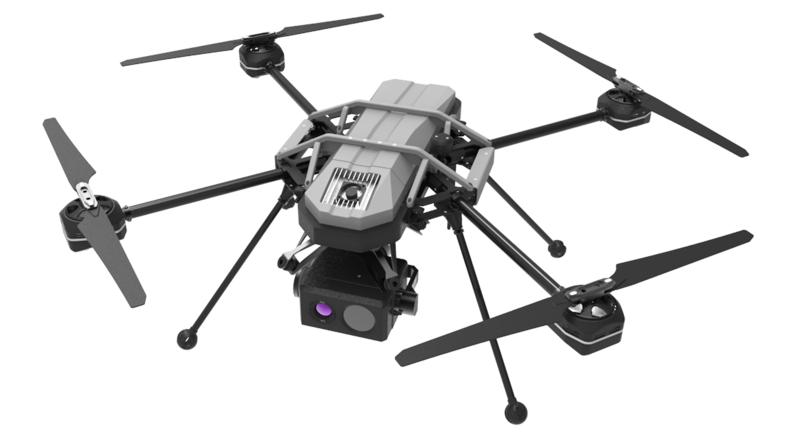 With its reduced visual signature, this micro-drone is the ideal operator companion in the field. 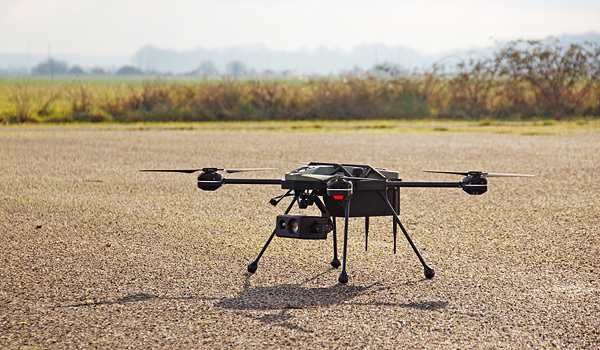 The HawkEye Mk II autonomy reduces the operator workload with advanced features like obstacle avoidance, image stabilization and flight modes such as manual and semiautonomous / waypoint, link-loss procedures, programmable mission. 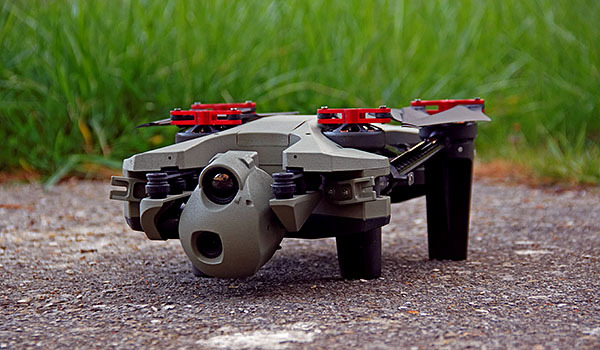 With its encrypted AES 256 datalink and video transmission, the UAV is resistant to cyberattacks. It can also operate in GPS-denied environment in manual mode thanks to its intuitive operator interface and ruggedized control tablet.